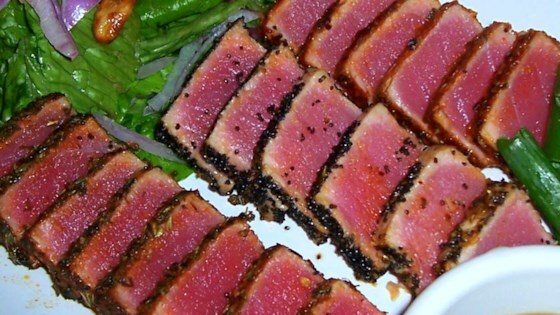 "This is an elegantly simple way to cook tuna that any restaurant would be jealous of!" We thought it would have a little bit more flavor but was still good. YUM! Agree REDUCE THE SALT, You can always add more if you want. I didn't have any cayenne so I used a little chili powder and it was delish! Very easy and tasty on a bed of lettuce. I used a Teriyake marinade. Go very easy on additional salt as the marinade is plenty salty.